Today on Mike Milo's "Animation Insider": The most in-depth interview I've ever done...Mike got me to talk about stuff I've never talked about before (because he asks the questions nobody else asks). Mike Milo created Animation Insider in the last year or so, and the website is already packed full with fantastic interviews with the "working-joes" of animation. 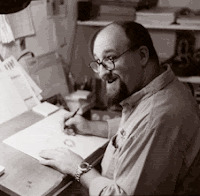 Mike is a veteran animator and storyboard artist who personifies the notion of the "guy working in the trenches." I finally had the chance to get to know him a bit when he was working on Phineas and Ferb. In Mike's own words, "Animation Insider’s goal is to focus on the blue collared worker of animation; the back bone of the industry. We want to focus on the real people in the trenches who make the award winning stuff we love." 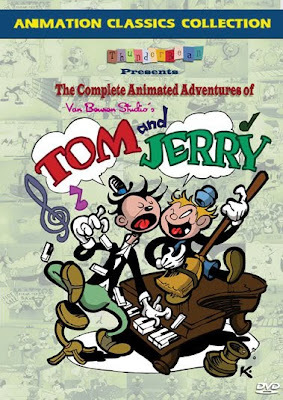 Find out more about me than you ever wanted to know at http://www.animationinsider.com/2011/09/sherm-cohen/ I think you'll find it's a fun read! If YOU have hidden talent, your future is secure!